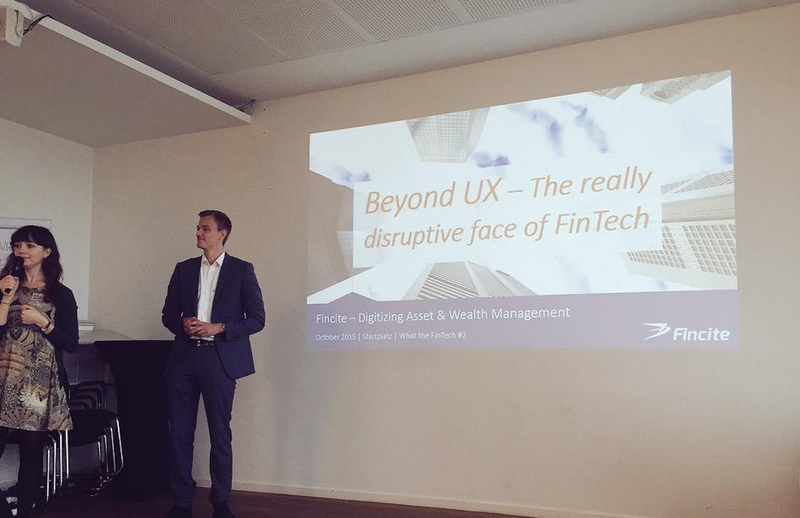 Yesterday I spent my day at the ‘Whatthefintech 2’ event at Startplatz Cologne. The attendees were an interesting mix from startups, banks, service companies and interested users. While none of the pitches and startups were focused on p2p lending, it was highlighted several times as one of the use cases. An interesting discussion evolved around the question whether startups have sustainable business models or just fill in a gap that is there for a limit time span. One argument was that too many fintech startups just add an incremental improvement rather than solve a big problem. An example given was that many startups can deliver a much better user experience than banks, so they win users now. But banks are learning and will catch up on the field of presentation and user experience and when the playing field is leveled then the startup has not much to show as the data and backend processes are still owned by the bank. I think this is an important point but one that is answered by p2p lending marketplaces – they have a business model that adds real value by offering a more efficient process than banks do. While some p2p lending marketplace use and cooperate with banks, they certainly have developed own technologies which are a core for their product and are not a mere sales-frontends as some of the criticized fintech models. The banks certainly are eager to open up to the developments. Jana Koch of comdirect bank presented the ‘Startup Garage’ program of comdirect bank, which is a essentially co-working space with mentoring from the bank professionals for teams which have just an idea yet and want to bring that to the first development stage. The bank pays the team to enable them to concentrate on the development of their idea, but does not expect equity or ownership of the idea. From the banks viewpoint the program will be kind of an outsourced research and development offering fresh impulses to the thinking of the bank’s executives. Some other viewpoints out of the banking sector surprised. Two persons from major banks stated that they expect the branch to play a very important role in the next 20 years as a sales channel for banks and only thereafter to become obsolescent. Maybe this is the paradox that Bankstil also commented last week. 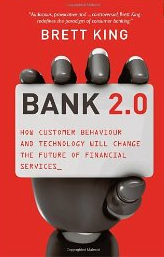 What banks publicly say is that the branch is essential and used even by their young and technology liking clients. But what they do is that they close branch after branch after branch. I liked the presentations, especially those by Peter Barkow who talked about the relationship between German fintech and venture capital and Gernot Overbeck of Fintura, a comparison tools which promises to find the cheapest bank loan for SMEs within 15 minutes and close it within 72 hours. The pitches of the 3 pitching fintech startups were well crafted (they had 7 minutes each). As usual the most interesting part for me was the networking. I am really looking forward to the next conference I’ll attend, which is LendIt in London in 2 weeks. If you register you can still use discount code wiseclerkvip to get 15% off. Impression from the event. More photos on Twitter. This is a guest post by Tuomas Talola, CEO of coming Finnish P2P lending site Lainaaja and blogger at Cloudfunder. Peer-to-peer lending has been growing rapidly since the inception in 2005. Lending amounts are small compared to traditional banks, but potential is immense. What would it take to really break into mainstream and become a potential option to large customer masses? What Is the Chasm and Target Customers? Geoffrey A. Moore wrote a highly appraised book called Crossing the Chasm in 1991. The book was about high-tech products marketing during the early stages and the difficulties of reaching majority of customers. In this post I’ll take a look what can be learned from the insights of the book and how to apply it to P2P lending. Will P2P Lending be Disruptive? In this – rather long – article I’ll examine if and why p2p lending has the potential to become disruptive and displace the “conventional” way banks hand out consumer loans. Disruptive technology and disruptive innovation are terms used in business and technology literature to describe innovations that improves a product or service in ways that the market does not expect, typically by being lower priced or designed for a different set of consumers. In contrast to “disruptive innovation”, a “sustaining” innovation does not have an effect on existing markets. 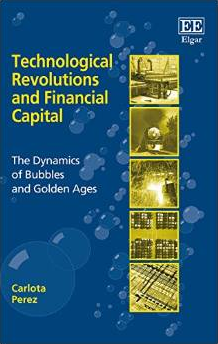 Sustaining innovations may be either discontinuous (i.e. “revolutionary”) or “continuous” (i.e. “evolutionary”). Revolutionary innovations are not always disruptive. There are multiple examples in the Wikipedia article. I want to give two others here. The newspapers ignored or at least failed to adapt to what the internet meant to their classified ads business. As a result they were one of the first to loose offline business to totally new competitors (multiple ad sites, Ebay, Craigslist and others). The music industry fought a downhill battle not to let CDs be replaced by replaced by (initially pirated) digital distribution. In both cases the shift to the internet was inevitable, because the new technology offered a better process with superior customer experience at lower cost. The question here is if, had the dominant players faster reacted to the new medium, would they have retained (a larger part of) their dominant market position?